Football fans support the team they do for various reasons, although most usually rely on family or geography to dictate the colours that will run through their blood for the rest of their lives. For Milanese actor Diego Abatantuono, his team came to him through some divine intervention. With true thespian verve he recants the story, one that formed a pillar of his life. He was a young boy and was spending time with his grandfather when he found the old man’s wallet lying on the ground. Curious, as young boys tend to be, he opened it up to find a worn photograph of two men. One he recognised to be a priest. The other man was clearly a footballer, although Abatantuono was none the wiser to who. He asked his grandfather, who explained that one worked miracles and the other one was a popular priest from Puglia. The miracle worker was Giovanni Rivera, better known as Gianni. The man with thick, dark, parted hair was magnetic to the young actor, who immediately swore his allegiance to the red and black side of Milan. Rivera’s enduring appeal has many sources. That’s why he’s not only a far-reaching hero in football, but one who transcended the changing faces of Italy, Milan and the global game. Gianni Rivera’s name rarely crops up in a sentence that isn’t packed with superlatives. Because of the reverence that others hold for him and his pioneering style, he is best viewed as the archetype of a certain kind of player – the one that we would now refer to as a classic number 10. The midfielder had a shamanistic prescience of his teammates’ and opponents’ whereabouts on the pitch. Akin to the greats of chess, it seems entirely possible that he would be able to reel off where players were across multiple games. His positional play and ability to locate and exploit space, with a jagged run or smooth pass, was unparalleled at the time. Although he had traits lending to several positions, spanning from a deep-lying playmaker to an inside forward, Rivera was a player who could make something appear from nothing. 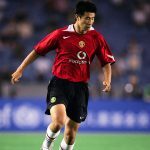 It’s possible to view him as a support act, someone who utilised his laser-like precision of pass and superior tactical overview to provide his teammates with opportunities to best deploy their talents for the betterment of the team. Saying that, his average of one goal every four games for Milan shatters the image that he was only a player who brought out the best in others. Instead, these abilities are parts of the mosaic that creates the full picture of Gianni Rivera. His multi-faceted influence on each game meant that a myriad of possibilities and outcomes were channelled. With a light flick of his foot or a misleading feint, he’d contribute innumerably to a previously veiled attacking move. As a result of the way he encapsulated a hitherto rarely seen style, he is held up like The Beatles as a benchmark where others will be readily compared. In people like Marco van Basten, Johan Cruyff and Roberto Baggio, those old enough saw flashes of Rivera. For me, the aptest comparison is Zinedine Zidane. The chaotic ballet of Rivera is mimicked in a slightly more controlled version by the French icon. Granted, boots, pitch quality and balls used contribute to their movements, but beyond their pirouettes and unpredictable changes of flow and pace, their IQ as men of the middle reign supreme. Italians use many football-specific words. A trequartista is the player who operates just behind the attackers; a fantasista is the creative spark summoning something from nothing; while the regista is the director. 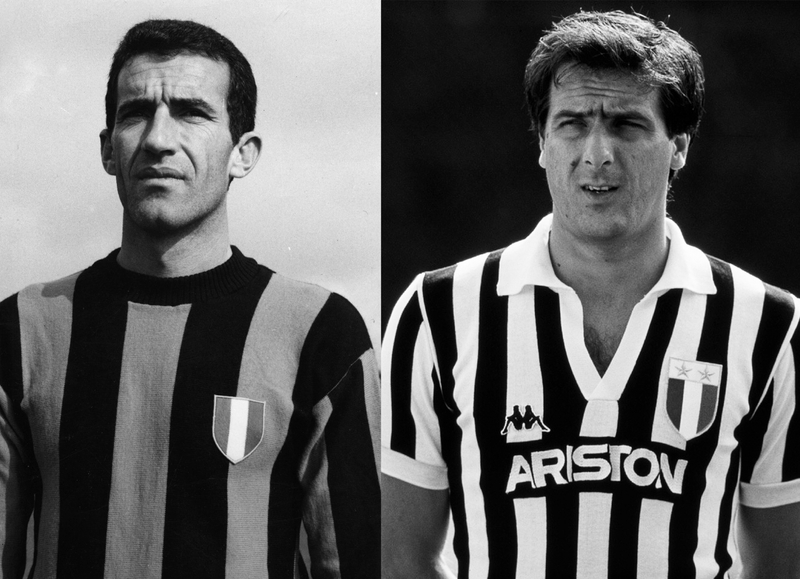 If those three were circles on a Venn diagram, then Gianni Rivera would be in the dead centre. In this sense, Rivera was a complicated player. 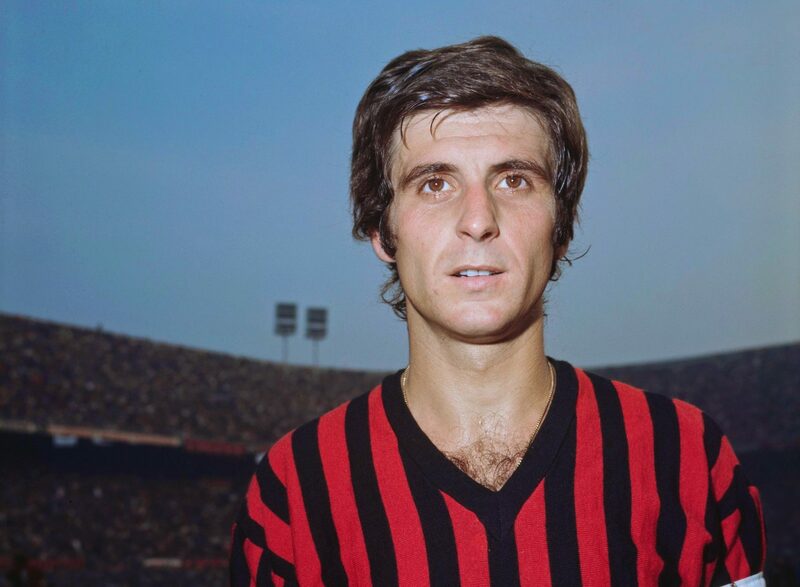 From a young age he had a noteworthy playing style, debuting for his hometown Alessandria aged only 15 in 1959 – the third-youngest in Serie A history; one of many records he holds, alongside being the second-youngest goalscorer, which occurred later that year. Although it was a brief spell, it was enough to attract the attention of his larger northern neighbours, AC Milan. 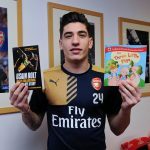 He joined on a co-ownership deal with a view to replacing Uruguayan World Cup hero Juan Schiaffino, a gifted inside-forward who left an indelible mark for his club and country. Replacing one of the greatest players in the world at the time was going to be quite the task for the young Italian. Journalist Gianni Brera called him L’Abatino – The Little Abbot – referring to his perceived physical fragility. Despite this being something to overcome in his early Milan days, he did so under the tutelage of Schiaffino and the guidance of his fellow players Nils Liedholm, Dino Sani and José Altafini. Their combined influence on the young Rivera gave him a holistic understanding of the game, overriding any perceived physical shortcomings. Internazionale legend Giuseppe Meazza was even moved to praise Rivera: “He’s an elegant player with a remarkable touch.” These attributes – elegance and touch – went a long way to defining his presence at the club. His haul there was illustrious, helping the team to three Scudetti, four Coppa Italia, two European Cups and, individually, the 1969 Ballon d’Or. During his first stint as manager at the club between 1961 and 1963, Nereo Rocco built his famous catenaccio system around the young Rivera, depending on his creativity and predilection for attacking moves to counter-balance his largely defensive approach. Returning in 1967, the pair once again gelled and Rocco’s team lifted a double in the maiden season of his second tenure. It was a winning formula that helped Rivera both grow and lead. Rocco’s reliance and trust of the player as captain made them one of football’s most noteworthy duos. It was a perfect illustration of a relationship built on respect and understanding where knowledge of the game travelled symbiotically. Coach and captain had found their soul-mate. Naturally, fans of i Rossoneri loved Rivera. He was not only captain fantastic, but a thoroughly likeable person. The beautiful thing was that the relationship was reciprocal. He loved the city, its people and its most famous club. For Rivera, AC Milan was not simply a club, but an idea. Thus, there were ways that things should be done and ways that they shouldn’t. Rivera was dubbed Milan’s golden boy. This nickname not only entails his footballing endeavours but also the idea that he is somewhat perfect, a shining example. Rivera could do or say no wrong; when he did say something, his words carried undeniable weight. An attitude of relentless perseverance – the same one that allowed the fragile youngster to become a man of beguiling grace and power – meant that he was willing to fight whoever he saw as treating Milan without due respect. He endured fierce and controversial disputes with referees, including the now infamous chapter with Concetto Lo Bello, where the referee publicly conceded an erroneous penalty decision against Rivera’s Milan. It wasn’t only referees – it was anyone Rivera deemed “non degni del Milan” – not worthy of Milan. Worth is the level at which something or someone deserves to be valued. There was a standard that Rivera set for anyone associated with the club. It seems rather anachronistic to imagine a captain acting a the flag-bearer in today’s game. This, to the people of Milan, made him an enduring legend at club level, yet as mutual respect for a fellow Italian, Rivera was also highly rated and readily embraced at international level. Despite studying at the catenaccio school of Nereo Rocco, Rivera was a rare breed of Italian player at the time – a skilful attacking midfielder, comparable to anyone in the world. Although his career for the Azzurri offered fewer trophies to his collection, it no doubt serves to strengthen the mythology and importance of the man. In similar fashion to his debut in Serie A, his international one was memorable. The rising star was given an unexpected call-up for his country’s 1962 World Cup campaign and his competitive debut came in Chile against West Germany in a 0-0 draw. An underperforming Italian side exited the competition in the first round and Rivera came under fire from Brera for his poor work rate and positioning defensively. Despite this, he became a crucial player for Italy and made it to his second World Cup in 1966, where his side would once again exit early. This time, having age and reputation on his side, he was vocal about manager Edmondo Fadbri’s defensive approach. In a twist-of-fate, Fabbri was replaced by the king of catenaccio Helenio Herrera, the chieftain of the famous Grande Inter side – Rivera’s rivals. Unimpressed with the star’s performance at the previous competition, Rivera was dropped by ruthless Argentine. Not many people had the clout to make a rebuttal against Herrera’s choice, but one man came to Rivera’s rescue. It was his reformed critic, Gianni Brera. Herrera’s short-lived tenure ushered in a new era of success for the national team, with Rivera its brightest star. Italy hosted Euro 1968 and with Ferruccio Valcareggi taking over as manager, the side went on to win with the help of a coin-toss in the semi-final. Rivera had been injured early on yet continued the match, putting in a notable performance. Although he missed the final of the tournament against Yugoslavia, he finally had some international silverware. It was at the next tournament, the 1970 World Cup, that his international career reached its curious peak, when Valcareggi introduced one of the most bizarre tactics in football’s storied history – one that somehow helped guide his side to the tournament’s final, despite the controversial idea that inspired it. Rivera was guile and vision, all feline grace. But Italy had someone else in his position that brought everything he didn’t have. 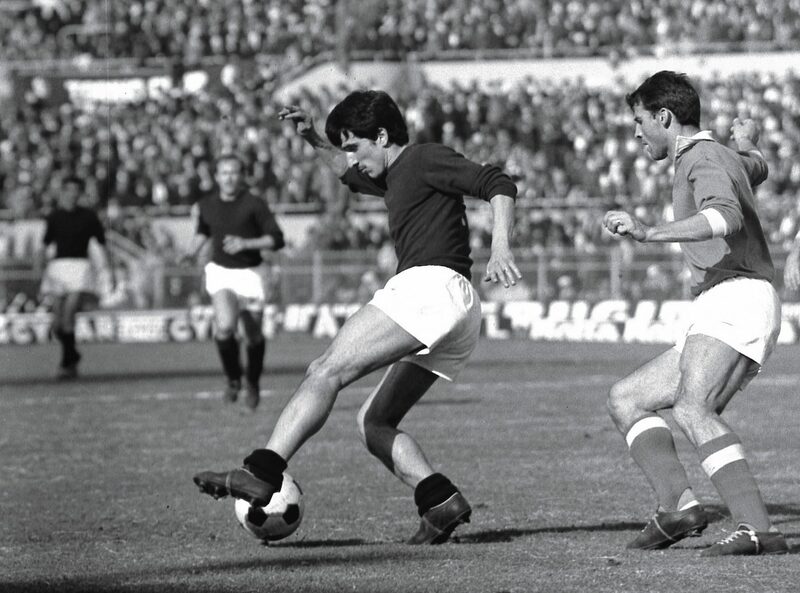 Sandro Mazzola was a creative attacking player, but with the speed and defensive prowess that Rivera lacked. He was also city rival Inter’s biggest star. In a balanced Italian set-up, the scales between defence and attack could be tipped by either man. Fielding them together seemed sacrilege. Both players were icons, intense and bright – they needed their own space to shine. Valcareggi’s solution was unprecedented. In his staffetta system, he’d play each man for one half of the game. Mazzola, the older of the two by a year, would start. He’d allow the Italians the chance to subdue their opposition and work their game of attrition. In the second half, Rivera would burst onto the field of play, dazzling the opposition and utilising his vision to offer the strikers a myriad of attacking options. It worked – until Valcareggi changed his mind. 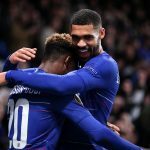 His squad made it to the final and went in level at the break. The Brazilians, with Pelé, Gérson, Rivellino and Jairzinho, had strength, speed and intelligence in abundance. 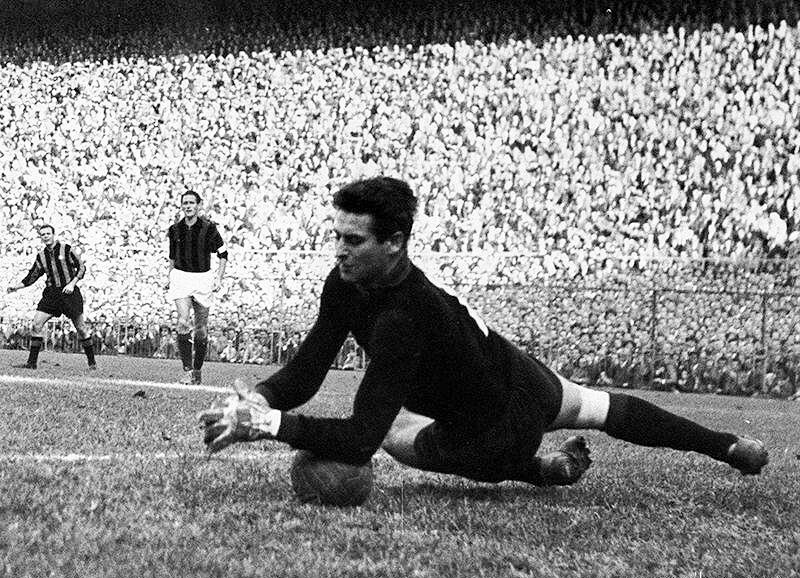 Consequently, Valcareggi deemed it best to stick with Mazzola and retain their defensive approach, only giving the Milan star six minutes. Italy went on to lose the game 4-1 in a legendary final and one of football’s most prominent entries into the ‘What If?’ chapter. To make matters worse, the error, although logical on paper, was obvious to everyone. Pelé stated: “I was worried that Rivera would come on, I thought that with Rivera Italy would be more dangerous.” Although not an inherently risk-taking player, he was seen as a risk that the manager was unwilling to gamble on, despite having shown his ability to impact games time and again. Rivera would represent his country in another World Cup tournament in 1974, although by this point he was passed his best. The final of 1970 had been cruel to him. He was stripped of an opportunity to reach the stratospheric heights that so many others had managed, yet with a substantially lesser impact on the history of the game. Gianni Rivera was revered for his life as a footballer, but also his personality off the pitch. A charismatic and affable figure, he stayed with Milan well after his last kick of the ball, working with the club and eventually becoming the vice-president. In 1986, Silvio Berlusconi bought Milan and as majority shareholder appointed himself as president. The Italian business tycoon’s centre-right political views clashed with Rivera’s left-of-centre ideas. A man of principle, he left the San Siro following the takeover. His contributions, however, were duly noted. In 2011 he was awarded the UEFA President’s Award, which recognises outstanding achievements, professional excellence and exemplary personal qualities. This puts him amongst noteworthy luminaries like Franz Beckenbauer, Johan Cruyff, Eusébio and Alfredo Di Stéfano. Rivera was seemingly from another planet when he emerged. Now his style of play isn’t uncommon. Football in the 1960s and 70s was a different beast, though, bereft of the technical standards that are commonplace now. In that era of calcio, players had more linear functions. Rivera was amongst the first to zig in a world that zagged. He knew his strengths and played to them. But he also knew his weaknesses and countered those by pioneering the role we now think of simply as the playmaker. To see the imperial rise of the position in contemporary football makes it difficult to imagine what came before. At one point it simply didn’t exist. Words like mercenary are often thrown at players, where prestige and opportunity matter just as much as money. Fans understand that a career is short-lived and that players need to feed their families – but we still long for the kind of stars that genuinely play for the badge. Football crests represent more than a name – they represent a history of family and friendship, of highs and lows, and of victory and defeat. When someone kisses the badge in front of a roaring crowd and dedicates their life to the meandering journey of a football club, we respect them for it. That’s why the people of Milan love Gianni Rivera, and that’s ultimately why we should love him too.